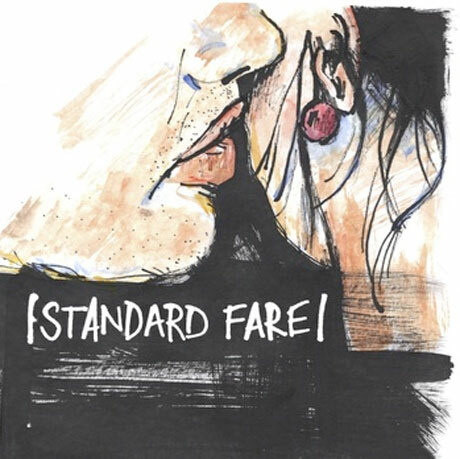 Standard Fare "Rumours" / "Out of Sight"
Twee-leaning UK indie-pop troupe Standard Fare may have called it quits in January, but that didn't stop Kingfisher Bluez honcho Tim Clapp from putting out their final single. The two tracks offer up plenty to love, particularly when paired with the very twee heartache knowing that it's the last two songs we'll hear from the band. "Rumours" weaves a nice tapestry out of stunning guitar interplay and dual female-male vocals, while "Out of Sight" is slightly more distorted but no less charming. Check out both tracks below and click through to order the 7-inch. Mammoth Penguins "A Simple Misunderstanding" / "Easy"